Grab this opportunity to benefit from the popularity of the beauty industry! This comprehensive training program in make-up allows you to become a Make-up Artist. 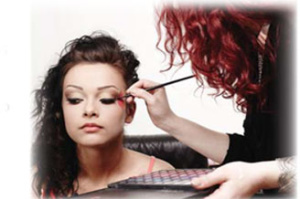 The program objective is to provide you theoretical and practical training for the exciting world of cosmetics. 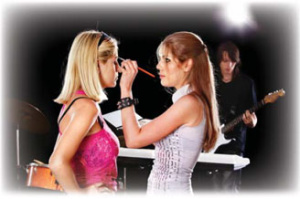 You will learn basic and advanced make-up applications for all areas of the industry. Choose any type of makeup as per your choice and get a Makeup Artistry Certificate. You will work toward a complete portfolio, master the art of makeup design and compose an up-to-date resume for your new career. This program is designed for you to be job ready upon completion. We ensure that you are equipped with excellent products and tools to excel in this multi-billion dollar industry. You will also gain comprehensive product knowledge, as well as, an understanding of the cosmetic retail business environment. Whether you are looking to work at a spa or thinking of starting your own business, with our training, you will be able to provide services in many fields including aesthetics, fashion, television and film.